Hello friends! I was working on a video the other day making ink smooshed background with Distress ink, got carried away and made one background too many. Naturally I wanted to use it on a different card. I’m sharing it today. 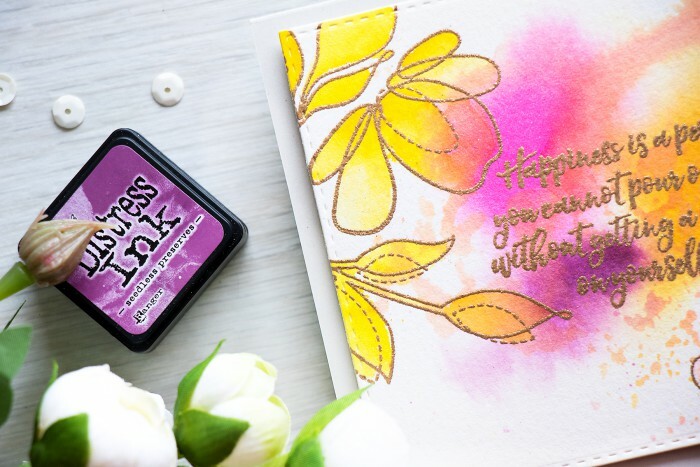 The background was created using several colors of Distress Ink – Picked Raspberry, Wild Honey, Seedless Preserves and Mustard Seed. These are fantastic vibrant colors that produce gorgeous results when blended together. 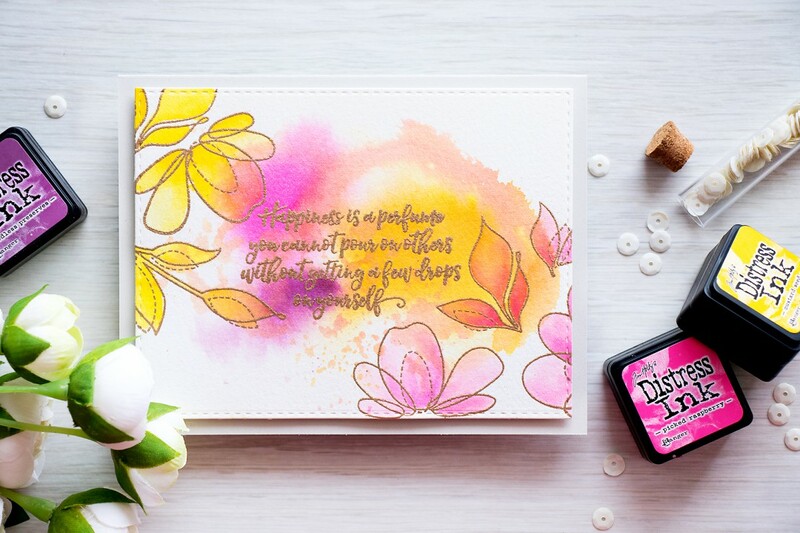 I heat embossed a beautiful sentiment over the background using Simon’s Antique Gold embossing powder, the sentiment reads “Happiness is a perfume you can’t pour on others without getting a few drops on yourself”. Such a beautiful quote! To finish this card I heat embossed several flower and leave outlines using the same Antique Gold embossing powder and colored them using Wild Honey (the top left corner) and Picked Raspberry (bottom right corner). The watercolor panel was than die cut using Simon’s Stitched Rectangle die and foam mounted onto a light grey card base. What a wonderful smooshing! Fantastic card! Love the colors! 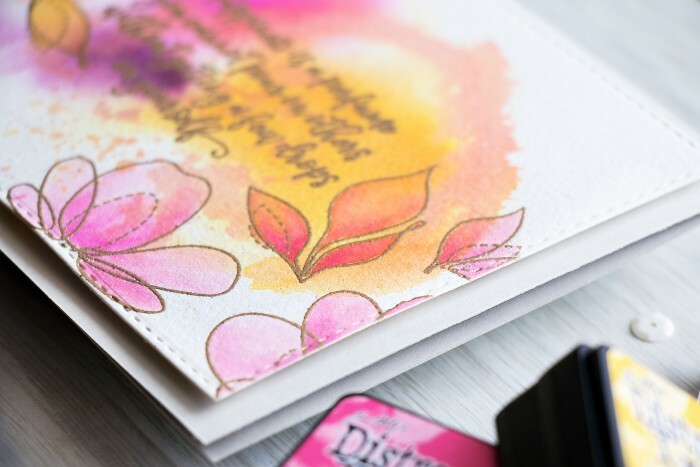 Hi Yana ~ Gorgeous Distress Ink color combination and the flowers you chose are simply beautiful. Thanks so much for sharing! Beautiful card, the colour combination is just perfect.